Sunbeam Events were thrilled to appear in the September issue of Absolutely Magazine’s Wedding Supplement! You can see what a real wedding at Sunbeam Studios looks like on Page 158 on the September 2017 issue. 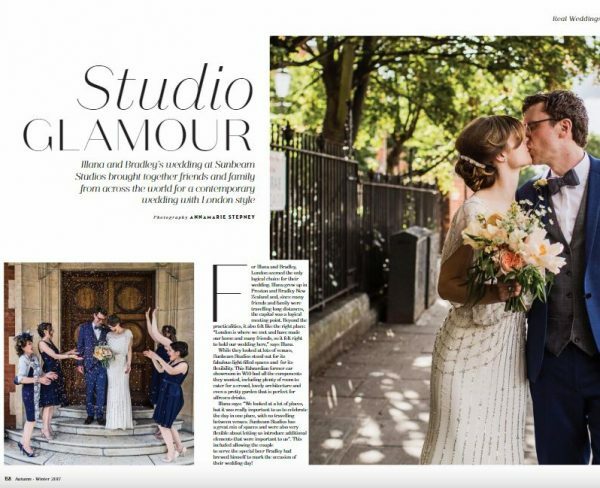 Entitled ‘Studio Glamour’, the three page editorial features a wonderful couple Illana and Bradley, giving a sneak peek into the details of their wedding day at Sunbeam. To read the feature, simply click here to access the online version of the magazine. 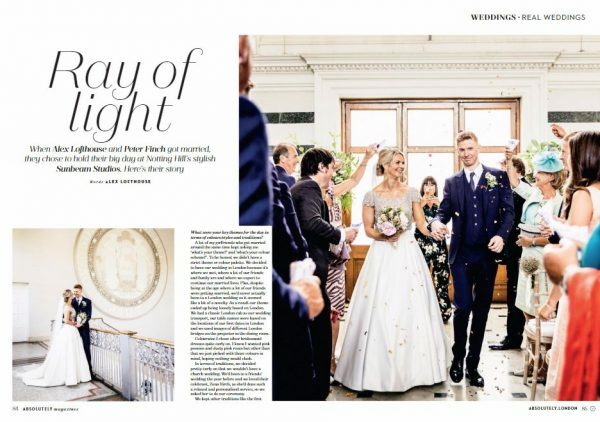 Shortly after this, another real Sunbeam wedding was featured in another real wedding editorial in Absolutely Magazine Notting Hill & Kensington, Chelsea & Fulham. The gorgeous Alex and Peter shared their Sunbeam experience with the magazine in a feature entitled ‘Ray of Light’.